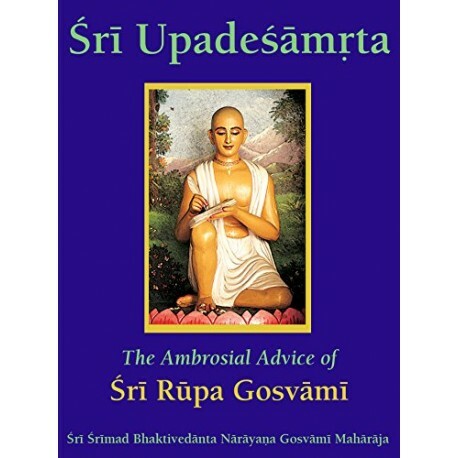 Śrī Upadeśāmṛta gives indispensable instructions for practitioners of bhakti, the devotional path. Features the commentaries of Rādhā-ramaṇa dāsa, Śrīla Bhaktivinoda Ṭhākura, Śrīla Bhaktisiddhānta Sarasvatī Ṭhākura and Śrī Śrīmad Bhaktivedānta Nārāyaṇa Gosvāmī Mahārāja. Translated from the Hindi edition of Śrī Śrīmad Bhaktivedānta Nārāyaṇa Gosvāmī Mahārāja. 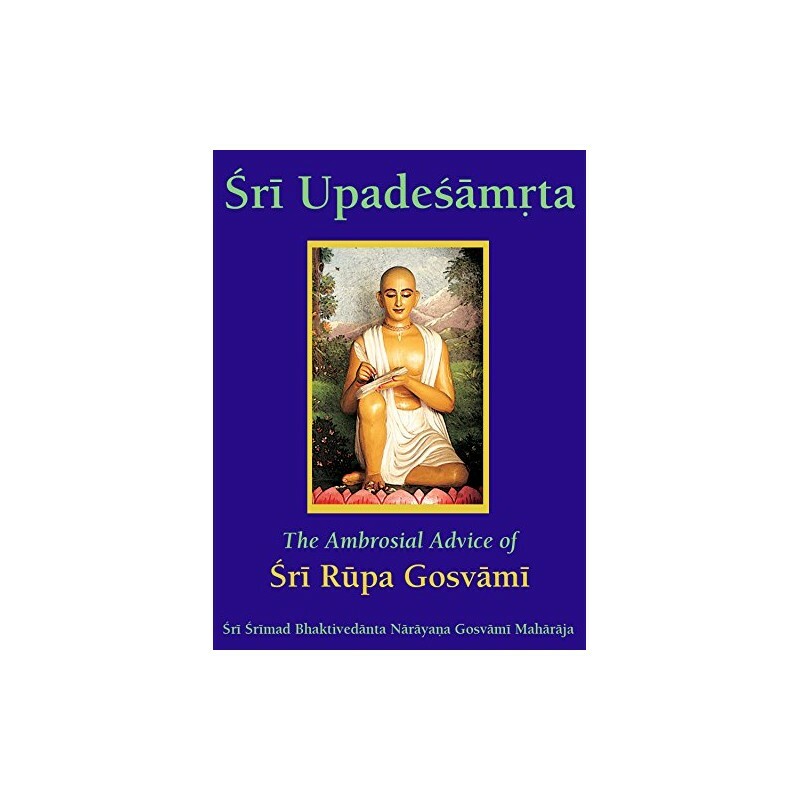 CONTENTS: Preface, Introduction, Verse One: Six Urges Unfavourable to Bhakti and Worthy of Rejection, Verse Two: Six Impediments to Bhakti, Verse Three: Six Vows Favourable for Bhakti, Verse Four: Association That Nourishes Bhakti, Verse Five: Service Rendered by an Intermediate Devotee to the Three Kinds of Vaisnava, Verse Six: It is Forbidden to View the Transcendental Vaisnavas with Material Vision, Verse Seven: The Process of Performing Bhajana of Sri Krsna’s Names and Pastimes, Verse Eight: The Process of Bhajana and the Best Place for Performing Bhajana, Verse Nine: What is the Topmost Holy Place?, Verse Ten: Who is Sri Krsna’s Dearmost Beloved?, Verse Eleven: The Glories of Sri Radha-kunda, Glossary, Verse Index. COMMENTARIES BY: Rādhā-ramaṇa dāsa, Śrīla Bhaktivinoda Ṭhākura, Śrīla Bhaktisiddhānta Sarasvatī Ṭhākura and Śrī Śrīmad Bhaktivedānta Nārāyaṇa Gosvāmī Mahārāja. Pages and Size : 136, 4.5" X 7"